Making space. : 15 Sleeps. 262 Steps. We have slept in Cape Town for 15 sleeps. We have explored the mountain, picnicked on the beach, and perused local markets. We are doing all the other things you do when you move to a new city as well. 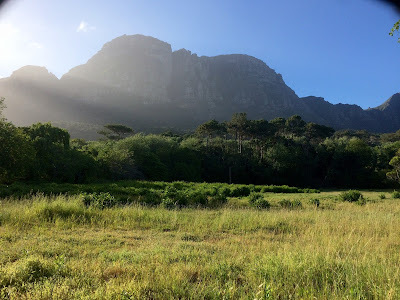 I joined a gym, and Chris is mastering the Table Mountain trail system for running. I walk down every aisle of every grocery store, trying to find “the one”, my grocery store soul mate. We are learning how to get around and how not to. The lady on my phone’s GPS tells me what to do, but was markedly unhelpful yesterday when I got stuck in a parking garage after not accomplishing any of the things on my list. Days are full of touring schools and filling out paperwork. We are thrilled at the high quality of education here and equally bewildered by the fact that we can’t find a single (affordable) school with an open seat for Lifa – not even in government schools! True story: Two ladies told me this week that they start applying for their kids to get in school while they are still pregnant, and one school told me to fill out an application immediately so Lifa might have a chance of getting in for 8th grade. That’s 5 years from now! We found a charming house to rent next year and are very excited to settle in with our own furniture and our puppies! We’ve found paths for afternoon walks, have become regulars at Mr. Arthur’s shop, and Lifa and Chris know the perfect park to work on their Frisbee trick shots. We are enjoying the adventures and misadventures that come with a new city. Everything is a super-exciting first for Lifa. He has become a full-fledged beach lover with a heart set on being able to run in the mountains with Chris one day. We’re timing 5k runs through the neighborhood, and he’s ready to sign up for surf lessons as soon as he overcomes that pesky fear of water. My husband takes the best pictures. I think I’m just as awestruck as Lifa by the enormous potential and the waves to overcome. He wants to take on the ocean and the mountains, and I want to sit at every table with every type of person and taste every type of food in this city. The rest of the neighborhood is waking up for work and school right now, and I’m thinking about how there’s a there’s a lot more waking up still to happen in me, Lifa, our family, and in this city. I’m sipping (possibly chugging) coffee in a picturesque setting. Currently, the clouds are spreading themselves over Table Mountain, tucking it away like a secret. I have re-named my favorite nearby street “Fairy Road” and call the guys’ Frisbee park “Magical Fairyland”. (Super-manly, I know.) But, for real, it is so lovely that it practically sparkles. Part of my fairy life. This is just a typical afternoon 5k in the neighborhood. 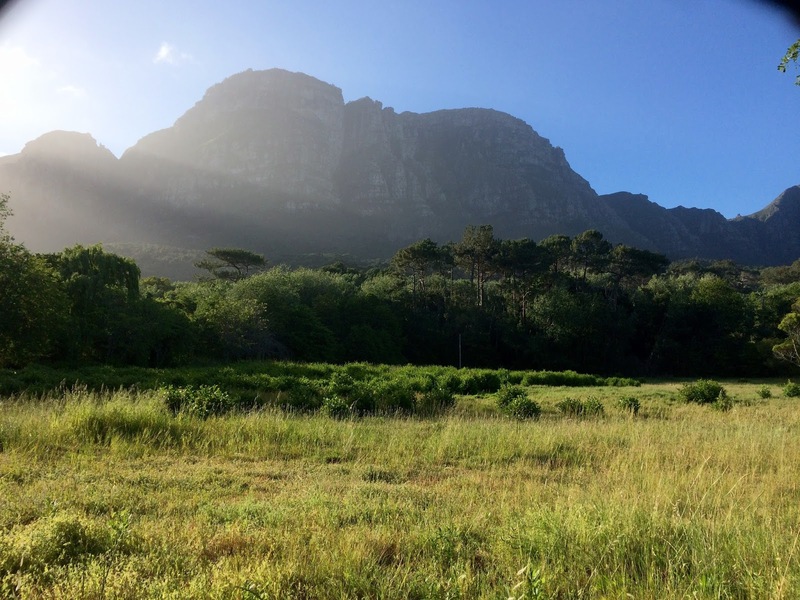 Cape Town: It’s enchanting; it’s amazing; it’s a bucket list city. We didn’t move for the views, the adventure or the charm. We moved to Cape Town to live in Cape Town because we see something more beautiful here than sparkles and fairydust. Before we tackle the day’s life stuff, all three of us sit down with Life Himself, and we pray for this city. We know that Jesus has a big, abundant plan for this bucket list city. We hang on to that Truth, and then we take on all that other stuff. Trust me, we are a work in progress over here… Our little future surfer, Frisbee champ, and mountain runner in the making has been bug-eyed with overstimulation for 15 days now. Lifa needs extra naps and can easily get lost in his own thoughts on the afternoons when the backyard starts to feel small and he’s missing school days and soccer practice. I had a mild, internal meltdown when I realized I didn’t have a single name in this city to write as an emergency contact on Lifa’s school applications and when Chris gently and lovingly asked me how I would like to celebrate Thanksgiving. Last week, Lifa got stir-crazy and drove me crazy in the process. We decided to take our at-home learning to the streets. We walked outside with a 3-item grocery list for Lifa to predict costs and pay for. And then we counted steps, by ones and then by two’s, to get to Mr. Arthur’s shop and the Magical Fairyland Frisbee park. It’s 103 steps to the park, and 262 steps to Mr. Arthur’s. I don’t know what or where we’re going to eat Thanksgiving Dinner, and Lifa doesn’t know how to surf – or even swim yet. But we know we are only 103 steps from a Magical Frisbee-throwing Fairyland and 262 steps from heaven-baked croissants. And that’s not a bad start. People move all the time. People go to work and school and buy milk and do life stuff all the time. But not a lot of people live. Not a lot of people come to the tiny table they have, take an inventory of their blessings, and count their steps. We want to be those people and make life count in Cape Town. If you and I chose to reel in the unraveled places and gather around the good, whether it’s a tiny dinner table or a phone call with a friend, we could be alive instead of just busy with life stuff. Instead of thinking about not knowing where or how to celebrate Thanksgiving, I can celebrate knowing it only takes 262 steps (counted in giggly-two’s by Lifa) to have a friendly conversation about church with Mr. Arthur and buy milk… or croissants for the guys and dark chocolate for me… whichever. Take 262 steps, and be alive today. Is Mr. Arthur's a bakery?! Cause whatever it is it sounds amazing!! I choose to live 262 steps!